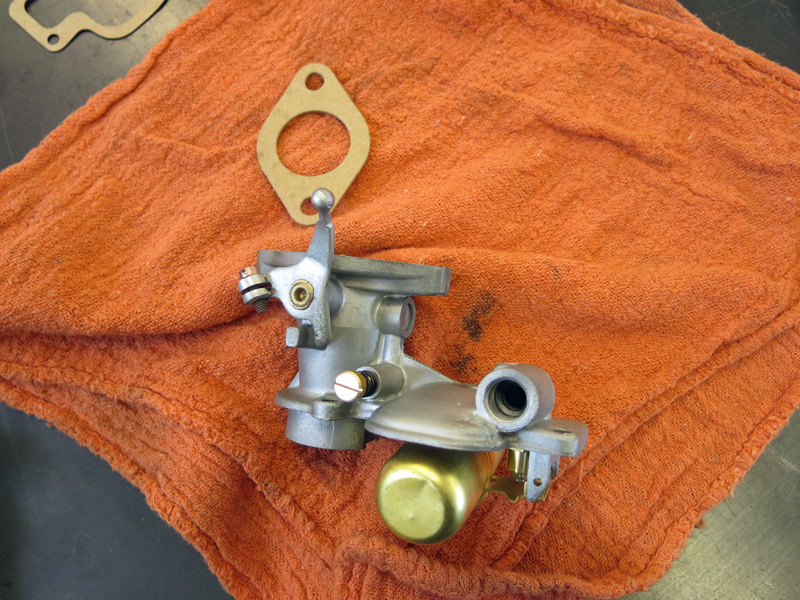 We soaked the carb in cleaner, then beadblasted both halves of the body. 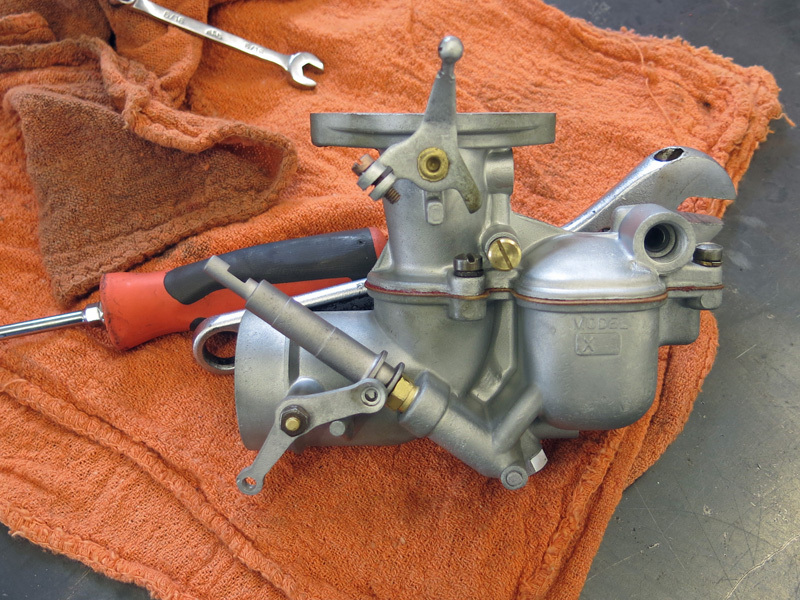 After sanding the flange flat we reassembled the carb with all new internal components including a new float and needle/seat. 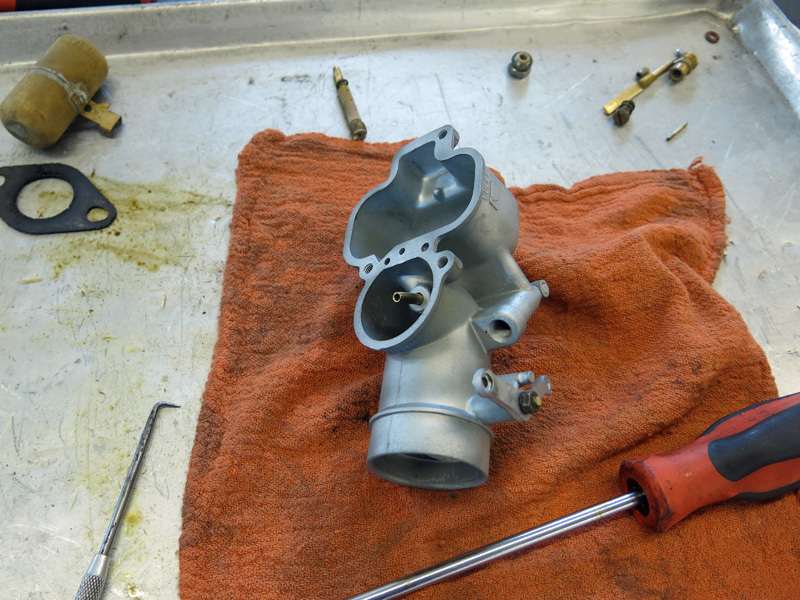 We baselined the carb jetting on the bench and then installed it back on the car. 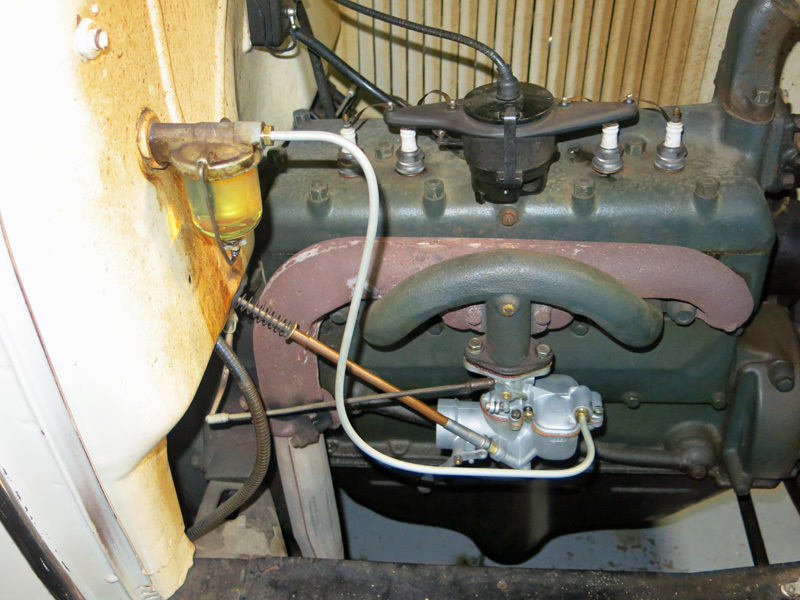 We also took this opportunity to remove the incorrect aftermaket fuel filter and rubber line and install a new solid steel line from the sediment bowl to the carburetor. After hooking the battery back up we started the car, warmed it up and dialed in the fast and slow mixtures. 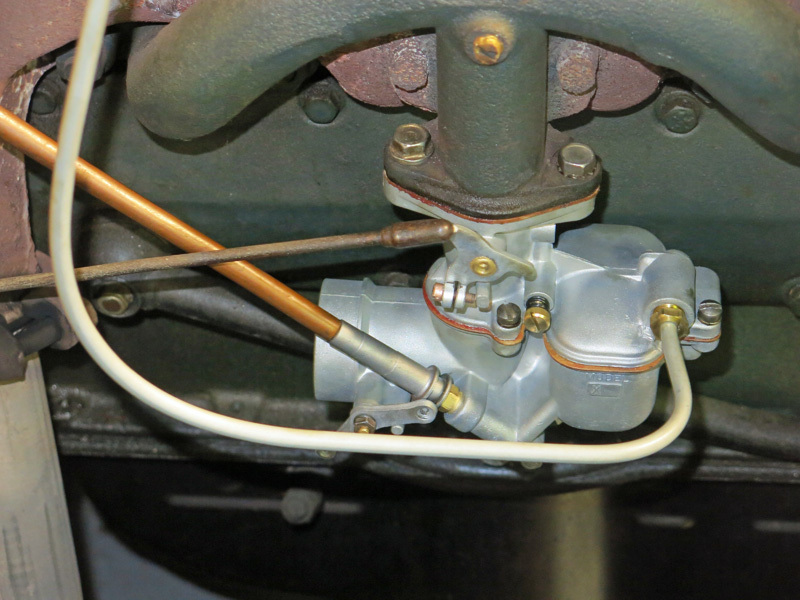 Now the car starts properly with choke and doesn't leak gasoline all over the place. 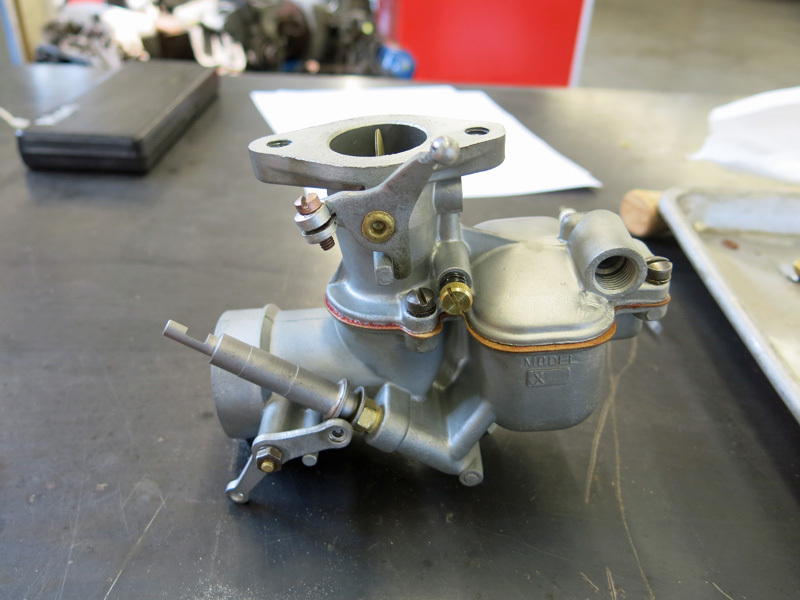 © 2012 - 2015, Eclectic Motorworks LLC. All rights reserved.